The book "Scarlet" by Marissa Meyer is a twist of "Little Red Riding Hood," where the main character, Scarlet Benoit, lived with her grandmother until her grandmother disappears. While the police force have given up the search for Scarlet's grandmother, Scarlet is determined to find her, believing that her grandmother was kidnapped rather than ran away. 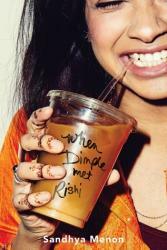 She meets a man named Wolf at work, where her living situation is turned upside down after she pronounces her belief that Linh Cinder was innocent. The road is long and hard, but Scarlet WILL find her grandmother by any means possible. This book is an amazing read for those who interest in fantasy, a mix of science fiction, action, and romance. 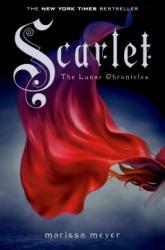 Just like the first book "Cinder," "Scarlet" is just as amazingly written as its predecessor. As part of "The Lunar Chronicles," this book continues to show the readers more about the world, and begins showing the secrets of the main characters and antagonist. The books is exceptional with its characters, chapters, and conflicts. It makes sure that all action is balanced and realistic. Some parts of the story were predictable, such as the romance, but the obstacles the couple faces, along with the conflicts with everyone else are unpredictable enough to make the story interesting. The main characters are relatable, yet so unique. This story, along with the rest of the series, is one of the best books for excellent fantasy and storytelling. 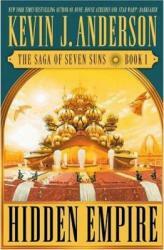 Hidden Empire is the start to the "Saga of the Seven Suns" series by Kevin J. Anderson, an author of dozens of Bestselling and award-winning sci-fi books. If you haven't heard of Kevin J. Anderson, it's probably because a great deal of his writing is done for other pre-existing franchise licenses (Star Wars, Dune, movie novelizations, etc...) where the author’s name tends to less noticed. Having had no previous familiarity with the author myself, I took a gamble on this one when I passed by his publisher’s booth at Denver Comic Con, and had a bit of money still burning in my pocket. I've been pleasantly surprised and now that I’m 3 books in, I think the series is holding up fantastically. Hidden Empire tells the story of human ingenuity turned reckless by greed. When the Terran Hanseatic League ignites a gas giant into the first man-made star, they awaken a slumbering threat, and inadvertently start a war that threatens to destroy all of human civilization. The enemy is ruthless and unimaginably powerful, and worse yet, the various factions of humanity are divided by their own conflicts and prejudices. Saga of the Seven Suns is a classic space opera of galactic proportions with a close focus on its characters. It skips the focus on justifying realistic technology that is common in "hard" sci-fi, and though the plot revolves around a war, it is not "military" sci-fi either, in that it's less about space marines and more about xeno-archaeologists and politicians. This is a people-centric story all the way, with the spotlight on the struggles of the individual characters as they each try to navigate the webs of intrigue, conflicting cultural values, and ancient secrets that surround them. Think the grand scale of Star Wars mixed with the plot style of Game of Thrones, featuring a varied cast of Point-of-View characters whose stories conflict, intersect, and illustrate the plot from different perspectives. Speaking of Game of Thrones, did I mention that this 7 book series has already been completed and fully published? You get all the thrill of binge-reading a sweeping saga that will keep you entertained for months, without have to wait around for 5 years for the resolution to that torturous cliffhanger! There's also a handy glossary at the back of the book to help you keep track of the different people involved in this intricate story. Note: This book is not to be confused with Hidden Empire by Orson Scott Card. While Card's name is likely more recognizable, Anderson's book was published 2 years prior. My daughter and I really enjoyed this book, which was written by a local author. We learned about Brazilian culture and the role football (soccer) plays in various world cultures. 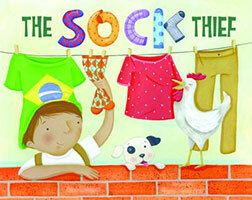 Well written and illustrated, we definitely recommend this book! This was an interesting book. I liked that it takes place in Colorado Springs. Nancy Saltzman is a very resilient woman. I'm not sure I would have the kind of strength she had if the unthinkable ever happened to me. I guess I was expecting more of a direct 'how to' on grief and loss, but instead the book was more of a teach by example. That's not a bad thing, just not what I was expecting.